Is it really possible to trim your tummy fat without exercise? Exercising is beneficial for most of people. Not only is good for health and weight loss but it also has added beauty benefits. You look fit, trim, everything tends to stay in place and where is meant to be, not to mention that clothes do look good on. Let’s face it though, exercise is not for everybody. Call it luck of time, call it ‘I don’t like it’ or demanding lifestyle, well is not feasible for everybody. So what can you do to get your waistline back in control which does not involve exercise? How can you lose belly fat without spending endless hours in the gym? Read on to find out. No 1 after exercise is diet. If you are putting on weight it usually indicates that you have eaten one too many. Even if you follow a healthy diet, overconsumption of calories will lead to putting on weight. If you lose weight you will lose belly fat and it usually tends to be the first to go. Always ensure that any weight gain or increased belly fat is not due to any medical/health reasons. In addition always consult a medical professional before making changes to your diet. Which is the best diet to lose belly fat? The one diet which suits your individual needs, it is healthy and balanced. Usually diets based on moderate macronutrient intake (moderate protein, fat and carbs) are the best recommended. Personally I am a supporter of Mediterranean style diets, as they tend to provide a variety of nutrients, they can be rich in essential fats (such as omega fats) and research indicates that such diets can be beneficial to health. 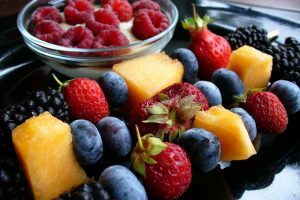 If you are following a healthy balanced diet for weight loss you are most probably on the way of low sugars. Why cutting down sugars is important? Apart from the calorific value they usually carry, which is quite high, sugars can lead to negative health effects. Belly fat has been linked with increasing the risk of developing conditions such as insulin resistance, metabolic syndrome and diabetes. On the other hand such conditions can lead to increased belly fat. By decreasing sugar intake you can aid in improving conditions such as insulin resistance which in turn can aid in losing belly fat. It is a matter which is a little bit interrelated and slightly more complicated but is beyond the scope of this article to analyse it in detail. Be aware that sugar is not just the white or brown powder you add to your coffee. Pastries, pasta, bread etc. are all sugars, or as most commonly referred to, simple carbohydrates. 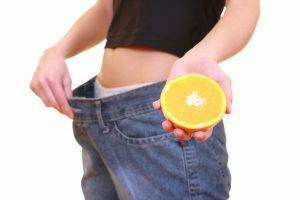 If your tummy refuses to fit in the jeans, it may not just be because you have put on weight but could be due to bloating. In general sugars and simple carbohydrates such as white bread, pasta, pastries etc are all guilty of making you bloat which is one more reason to cut down on them. Some nutritionist / dieticians support the theory that complex carbohydrates tend to be better as they are broken down slower (to put it in simple words). However, if your diet is mainly based on carbohydrates, you may benefit from cutting down on them either way. In addition, consuming too much fibre, grains and legumes can have the same effect. Fibre can have health benefits and is always recommended to be included in everyday diet. However, consumption of large amounts of fibre can lead to gastrointestinal complaints and bloating. The magic word I like to usually use is ‘in moderation’. 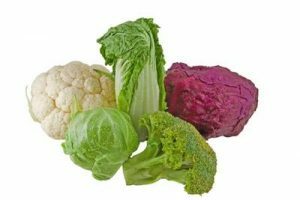 Fibre is found in vegetables and some fruits as well as grains. Consuming a combination of all foods without going overboard with one or the other should be enough to provide substantial amounts of the nutrients you need and keep any complaints at bay. If you do suffer from increased bloating and regular gastrointestinal complaints it is always recommended to consult a medical professional. Conditions such as Irritable Bowel Syndrome (IBS), and food intolerances, could be the cause. The appropriate medical professional should be able to advise you on diet and treatments. Ok I agree that this is easier said than done. I must say that I find nothing more irritable than being stressed and people telling me to relax. However, according to research both stress and depression could have a role to play in the expanding waistlines. Studies indicate that stress hormones increase appetite for sweet and high calorie foods as well as increasing capacity to store any excess calories. In other words not only it makes you want to eat fatty foods it helps in turning it into fat. Moreover, stress hormones combined with increased levels of insulin are indicated to increase abdominal fat. With depression the processes may be a little bit more complicated. However, studies similarly show that there is a link between depression and increase in abdominal fat. Avoiding every stressful situation we all know can be mission impossible especially if you juggling work, family, kids, global recession, hurricanes, and everyday life. Why not try distressing with having some ‘me’ time and maybe have a nice bath or book a massage. If that is hard to do, you can have a glass of wine or practice some breathing techniques which aim to alleviate stress. Alternatively you can go for a walk in fresh air or do some therapeutic journalism. Do you remember when your mum used to tell you night and day to stand straight, stop slouching and keep your shoulders back? I do sometimes wonder if anybody did actually did listen to all that… Well slouching will not make you put on weight on your belly as such and if you do stand straight will not make you lose weight as such either. What it will do is actually improve the look of your belly and will help to condition your muscles a bit. Slouching can make your belly look bigger than it is along with all the not good effects on your back, chest etc. Why not try it and you may see that you may have stopped some of those aches and pains on your back. I will include it but in general I would not recommend any surgical procedures for the purpose of weight loss. 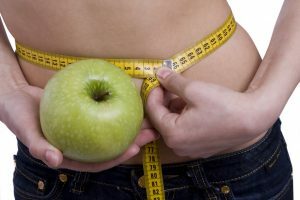 Liposuction can be found with a number of different names and can be done with a number of different techniques. 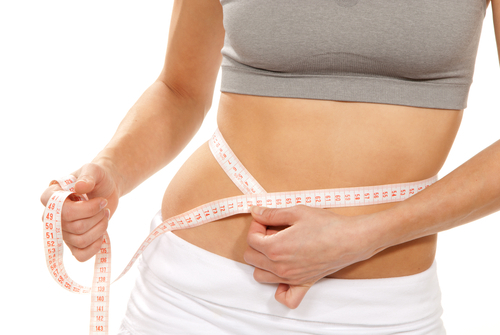 In its essence it is the removal of fat deposits from specific areas of the body via a surgical procedure. Depending on the area and/or the amount of fat to be removed the procedure can be performed under general or local anaesthetic. As with every surgical procedure it carries dangers and it should not be taken lightly. Infections, blood clots, severe bruising and deformations are some of the complications that can take place. The more fat is removed and the less experienced the surgeon is, the more dangers the procedure can carry. Moreover, unless you remove what makes the fat to be stored it will be back. Is it your diet, your lifestyle, stress lack of physical activity what expands your dress size? Well if it stays the same it will only have the same effect. As with liposuction it is a surgical procedure and it carries a number of dangers. Although it is a way to trim your tummy without exercise, I would not recommend it. Tummy tuck (or abdominoplasty) usually includes carrying out liposuction to remove the excess fat and also removing sections of the skin. As with any major surgery it can put increased strain in the body and it can have fatal results. It can also carry risks of infection, blood clots, scarring and deformations. 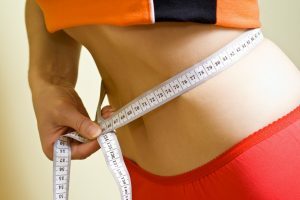 In some cases tummy tuck may be necessary or beneficial such as after major weight loss. It is often the case that the skin has lost its elasticity and there are folds of skin left on the body. Apart from beauty purposes the skin folds may be removed for health reasons as well. Always consult the appropriate medical professional before making any changes to your diet and especially if considering any surgical conditions. In which case do make sure that it is your last option and the benefits do outweigh the risks.